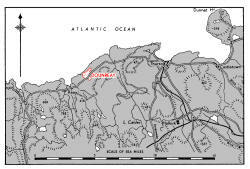 The airfield lies on the coast 1½ miles N.E. of the village of Reay and on the N.W. side of the coastal road from Reay to Thurso, distant 6i miles E. of the airfield. Dunnet Head, distant 12 miles E.N.E. with Dunnet and Thurso bays, and the town of Thurso. Sandside bay, a small inlet fronting Reay village. Main road from Reay to Thurso, terminus of the. L.M.S. line from London, passes the S.E. side of the airfield. Steamer communication from Scrabster (Thurso) to Kirkwall and Stromness (Orkney Islands). Control tower near the centre of the S.E. side of the airfield. 05/23 .. Q.D.M. 048°-228° .. 2,000 x 50 yds. 11/29 .. Q.D.M. 112°-292° .. 1,100 x 50 yds. 17/35 .. Q.D.M. 170°-350° .. 1,100 x 50 yds. Note: E. end of runway 11/29 and S. end of runway 17/35 to be curtailed in accordance with A.F.O. 3594/47. Rising land to the S., reaching 600 ft. within 4 miles of the airfield. Living quarters in 9 camp sites close S.E. of the airfield; the furthest site lies about 1 mile from the landing area. Capacity: Figures not available, approximate initial complement. 17 double-ended A/c. standings off the perimeter track on the N.W. side. Sick Bay in camp site S.E. of airfield. Full service by Naval personnel to be provided later. Small workshops exist. A.R.S. hangars and workshops to be built. There is no record of any Fleet Air Arm units operating out of this airfield. 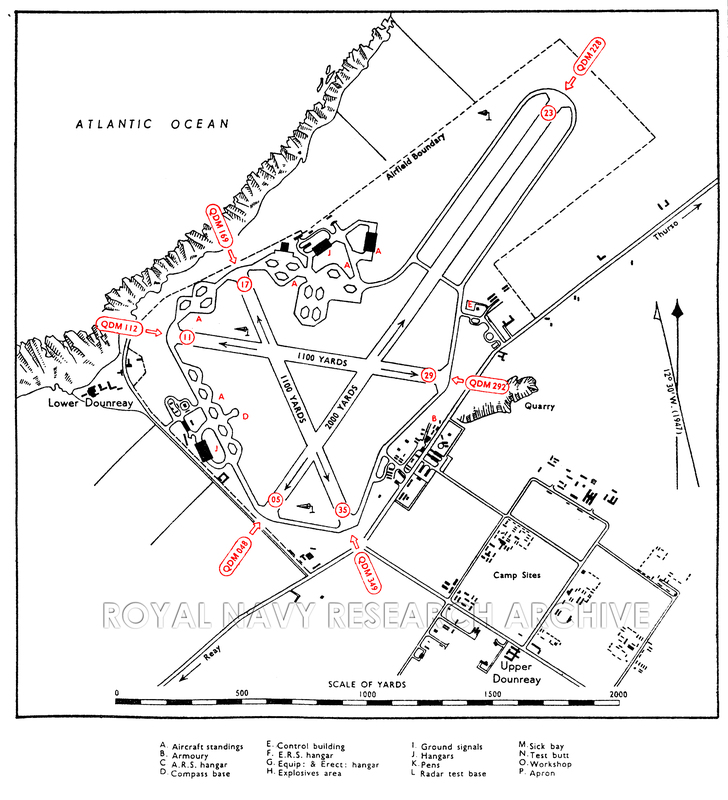 Construction of the airfield began in 1942, at the time it was intended for use by RAF Coastal Command. While still under construction it was decided that Coastal Command no longer required the station so it was offered to Bomber Command, they also declined it as unsuitable. The Air Ministry next offered the station to the Admiralty who accepted it with the intention of commissioning the station as H.M.S. SISKIN. 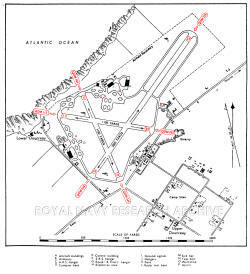 The station was transferred to the Admiralty on May 15th 1944 and work continued to develop the site as a Royal Naval Air Station. When the war in Europe ended a year later the station was still not ready to begin operations. By the summer of 1945 it became clear the station would not be required to commission and the promulgated name of ‘SISKIN’ was instead given to RNAS Gosport in August when it was transferred from the RAF. On September 29th 1945 RNAS Dounreay was reduced to Care and Maintenance status as H.M.S. ‘Tern III’ with accounts borne in H.M.S. “OWL” (R.N. Air Station, Feam). From July 1946 the station became a tender to the newly opened Naval Air Station at Lossiemouth, the airfield accounts being carried on the books of H.M.S. FULMAR. With the closure of the naval airfields in the Shetland and Orkney Islands after the war RNAS Dounreay was proposed as a temporary base for squadrons disembarking from ships visiting the anchorage at Scapa Flow. In order to provide facilities at the station, without commissioning it and providing a permenant complement, it was to be manned by a Mobile Naval Air Base (M.O.N.A.B.) and a Fleet Requirements Unit would be made available. At this time only one M.O.N.A.B. remained intact, M.O.N.A.B. 10, which was at RNAS Lossiemouth as part of the M.O.N.A.B. Development Unit There is no evidence to suggest that the M.O.N.A.B. was ever installed at RNAS Dounreay. 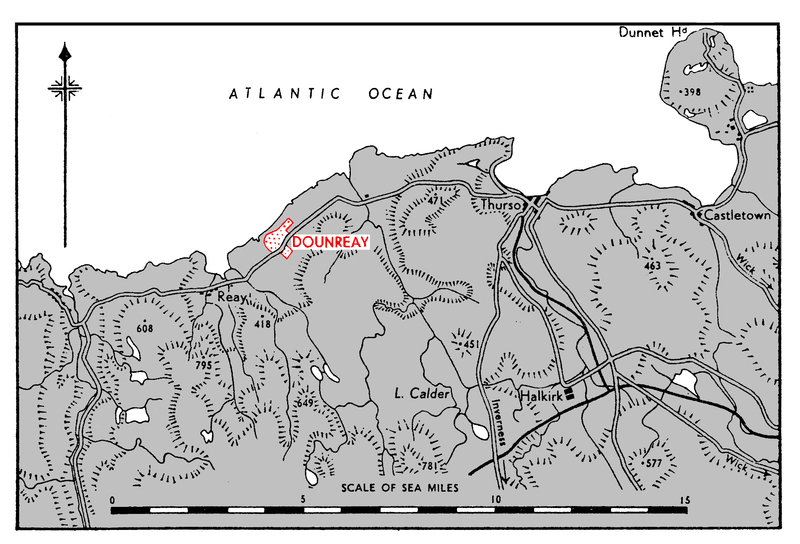 RNAS Dounreay was returned to Air Ministry control in January 1954 and in 1955 the airfield was taken over by the United Kingdom Atomic Energy Authority (UKAEA) for developing a fast breeder reactor. One runway was operational until the 1990s. 1 Nearly every account of this station give this as 'TERN II' - BUT A.F.O. 6678/45 sates "As a result of the end of the war. the Air Station which was under construction at Dounreay, Caithness, will not now be required to commission for the present. 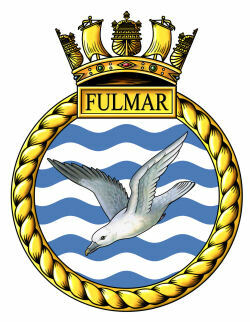 It will ho held on care and maintenance as H.M.S. 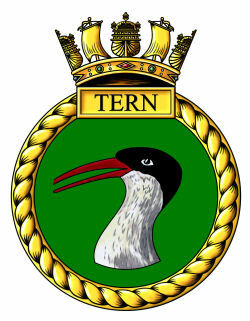 "Tern III" as from 29th September, 1945, with accounts bone in H.M.S. "Owl" (R.N. Air Station, Fearn)."